A lot of Singaporeans consider Zen-inspired home. In fact, there are Singaporeans who are considering renovations. Zen architecture is widespread here and abroad because of its charm and appeal. Zen-inspired homes are relaxing. The peace and relaxation that Zen yields are incomparable. Zen is associated with simplicity and purity. Earthly colours: Zen is famous for its earthly colours. You should consider soft tones like grey, white and shades of beige and pink. Softness: The softness of the floor is also part of the Zen style. You should look for soft carpets. Make sure that your carpets are light. Light and natural fabrics: As much as possible, go for light and natural fabrics. Strong and dark colours are troubling. If you want to be comfortable, choose light-coloured fabrics. Simple furniture: Zen is all about being simple without less disturbance as much as possible. If there is less disturbance, your home will be harmonious. Natural scents: Scents can trigger relaxation. If you smell foul scents, it will bother you of course but if you smell natural scents, it will induce relaxation. Plants: You have to put some plants (artificial or natural). The mere sight of green or lush is soothing enough. Green means nature and relaxation. Get rid of clutter: Zen is all about clarity. The clutter can impede relaxation. You should arrange your things and throw away those that you do not need. Keep your home minimal. Zen style is not difficult to achieve. If you think that you need renovations to get the feel of it, you should do so. Your home should be relaxing. If your home is making you uncomfortable and distressed, it is time that you move or change its appearance. 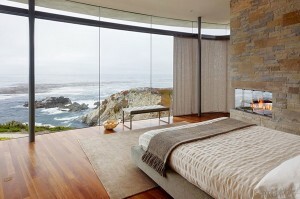 Zen architecture or style can do the trick. You should consider it. There are many Zen-inspired furniture here in Singapore. 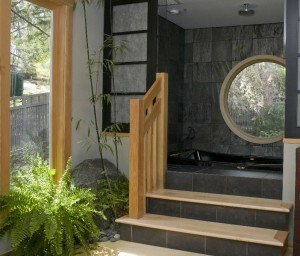 If you are looking for Zen architects, you will surely find one in no time.